It's here - the final IWSG posting of December 2016. This year has gone quick! As ever, this is the day when we can gather to share our writing fears and insecurities and offer a helping hand to others. Ably commanded by Ninja Cap'n Alex J. Cavanaugh, the co-hosts for today are Jennifer Hawes, Jen Chandler, Nick Wilford (erm, that's me), Juneta Key, J H Moncrieff, Diane Burton and M J Fifield! I recently posted about my insecurities, namely my slow writing progress. I'm working on upping my pace and doing a bit more each day, and this month I hope to be back in a steady rhythm. One thing's for sure - I can't see a time in the future when I'm not writing, and that leads me on to this month's IWSG question - "In terms of your writing career, where do you see yourself five years from now, and what’s your plan to get there?" The first thing is to have my first trilogy and accompanying prequel all out in the world, which I plan to roll out over the next couple of years. After that, I've got several other ideas for books that might be standalones or develop into series. What will these books be about? Well, with what I've been writing recently I've realised that I really enjoy the speculative side of things - and whether that be sci-fi, dystopian, paranormal, or multiple other avenues, this question really got me thinking about the idea of having a much more defined author brand or image. I used to think I would not tie myself down to any particular genre, and I'm still open to pursuing any ideas that reveal themselves to me - but "speculative" isn't really a genre, it's a way of looking at the world, pushing the "what-ifs", scrutinising things that may already be amongst us and exploring what would happen if they were developed to their logical conclusion. This is what writing is all about for me, and hopefully in five years I'll have reached more like-minded souls who'll enjoy the journey with me. And who knows what the social media and marketing world will look like by then? That sort of speculation could spark off all sorts of ideas by itself. In terms of my publication plans, I definitely plan on doing more self-publishing as the sense of control is awesome, but it's also on my bucket list to have something traditionally published. It's not that I think one is more valid than the other, it's just another thing to be experienced. I also think there's something in the idea that some stories are suited more to one route than the other, and hopefully I'll be able to tell which is which! How would you answer this question? Did you take part in IWSG this month? If you're not a member, thinking about signing up for 2017? Check out the list of other participants here. Hi Nick, it sounds like you have a clear idea of what you want to achieve which I think helps enormously as we make our way along this writing journey. I too wonder where the social media side of things will be in a few years, it could open up more possibilities which would be exciting. Good luck Nick, thanks for helping to co-host this month, enjoy the day. You have a very good idea about where you plan to be in five years, Nick. Also, your comments about where social media and marketing are heading touch on valid points. The game changes so much from month to month, there is no telling what we can expect even by the time our next book is ready for publication. Thank you for co-hosting IWSG for December. Enjoy the holidays and Happy New Year to you and your family. Thanks for hosting this month. It sounds as if you've got a pretty good idea of how you want to go about things, whilst being open to whatever comes along too. A good attitude. Moving in both directions to be traditionally published and self published is something I am also thinking about. It is a lot of work but gives a writer the best of both worlds in my opinion. All the best and thank you so much for co-hosting. Defining and/or sharpening your author brand/identity is, I'm told, a good thing, and it's something I've really been slow on, either because I hate to pin myself down, or because I'm really not sure where I fit. Keep working toward your goal, Nick! Hello, Nick, it sounds like you have mapped out a nice future plan. I also like speculative fiction, it's interesting!! Wishing you luck on your endeavors. Variety is good, but it does help to have one solid platform. Then you can spring in other directions. I'm upping my productivity, but I'm finding it hard to sustain the level of productivity I want while doing everything else I need to do in order to be a full-time writer. Funny to think, but I might be writing less now that I'm a full-time writer than I did before I made the change. Great planning, Nick! Wishing you lots of publications in 2017 and hope you land that dream agent and publishing contract. Wishing you a lovely December and festive season. Thank you for co-hosting this month. I envy you for your clarity of goals over the next five years. I really found your point about author image/brand to be quite interesting. It's probably something I should put on my five year plan too. Thanks so much for co-hosting and have a wonderful Christmas and Hogmanay. Sounds like you have a plan. I think it's great to be a hybrid author. And if you're looking for an agent for a MG or YA book, you should definitely research the agents on my blog and take advantage of some of my query critique giveaways by agents next year. Fingers crossed for you that you succeed! Everyone should become a member next year. I'm working on my 4th genre right now. Too late for a stable platform. Look at you, co-hosting and everything. :) I, too, write under the speculative umbrella and have yet too tie myself to any one direction. My first novel was dystopian, my second, fantasy. My upcoming series is sci-fi. I write what I like and I try to make them good books. That does make marketing and building a following in any one area a bit challenging, but I'll live with it. As to self publishing vs. traditional, they each have their challenges. Having done both, I like the support of a press, but I like the freedom and control with self publishing. I'll continue to do some of each and try to reap the benefits of both sides. Good luck with your goals. Writing different genres is fun, but each time I changed (e.g. from sci-fi romance to PI mysteries) it felt like started over building an audience. Some carry-over but not as much as I expected. Being a hybrid, I much prefer self-publishing over traditional. Everybody has to choose what works best for them. I would love to have something professionally published just to experience the editing process. Nice work and your plan looking ahead sounds great. I've self published but am eyeing a memoir I'd like to agent out/traditional publish if I can. I think that experience would be beneficial to my future writing goals. It's been a great year of IWSG and I look forward to another in 2017. Thanks for co-hosting! I agree variety is great. Keep on pushing forward! :) Thanks for co-hosting today. You have great goals. I wish you much success. Thanks for co-hosting IWSG this month! I like the direction your heading in Nick. It feels very organic and very true to who you are. Good luck with all of this. Nick, you sound like you know exactly where you're heading! I love your speculative musings...and it's so true about the constantly evolving nature of social media and marketing. Hi Nick. It sounds like you have a solid plan in place. I love that you're finding paths that may open up to other avenues. Good for you for continuing to push yourself. Thank you for co-hosting. I did the opposite, went from traditional publishing to self-publishing and I completely agree--the sense of control is awesome! Not to mention I'm finding myself doing much more for my work than a publisher ever did. I always have several book ideas running in my head at any given moment. I use notebooks (for each one) to jot ideas/outlines in so they don't overrun my life:) It's great that you have lots of story ideas. You will always be a writer! Thanks for co-hosting this month. good luck with your goals they sound definitely attainable and I am considering self pubbing more as well. I like the control but lots of work involved ! Hi Nick--you included the most obvious goal that I completely forget--'I can't see a time in the future when I'm not writing'. Duh. Me, too, and I love your plans to keep writing! I agree. Both avenues for publishing are good. And they both offer different experiences. I've never self-published, but I'll be putting out a short permafree story next month. :) I wish you all the best with your plans! I think it's healthy for all authors to take a hybrid publishing approach to their career. Leave all the possibility doors open, and do what's right for the book, for you, for the time. Great goals, Nic. Here's my best to wishes for you achieving all of them. Thanks for co-hosting this month. Totally get where you're coming from, Nick. I've gone both routes, self-publishing and traditional. They compliment each other. And it gave me an inkling from both prospectives. Thanks for co-hosting. There are so many awesome what-ifs and ideas. I am looking forward to reading yours when you get them published - whether traditional or independently! Like you I'll be doing more self publishing and for the same reason. It's not just the control of the book I want, but of my life - I don't want a publisher insisting I get involved in more promotion than I feel happy with or pressurising me to complete work more quickly than fits in with the other things I want to do, or deciding what topics I'll write about. Sorry that wasn't supposed to sound like a rant against publishers! Sounds like you have aplan and that's the first step. Best of luck with your writing in the new year. I tend to gravitate toward fantasy whenever I write. Occasionally paranormal sneaks in. But at least you have several options and you're working toward them! Keep it up! I thought speculative was a genre. It encompasses sci fi, fantasy, and anything else that doesn't fit in the realistic realm. It's where I reside, as well. Determination is half the battle. Keep it up and you will reign supreme. This is my first time here. I like your blog. I've joined the blog. All the best for a wonderful holiday season. It sounds like you have a good road map all ready to guide you toward your goals. Wishing you continued success with your writing career. Thanks for co-hosting this month, Nick. I also am adding a larger weekly word count to my resolutions for 2017. Yes, this year has gone by fast. Good luck with your publishing goals, and Happy Holidays. There's noting wrong with variety. Good luck with your goals! And thanks for co-hosting. Thanks for hosting, Nick. It looks like you have a well-defined five year plan and you are well on your way to accomplishing the publication of your trilogy. Speculation... it is the perfect thing to do before the unknown becomes the known! Happy holidays! You know your own mind - so you're half way there already, Nick. Like you, I also write speculative, a variety of it. Good luck with your goals. You sound like you have a good idea of where you want to go with your writing. Good luck! Pace is always a struggle. Even if you're able to write full time (I'm not: day job city over here! ), there's still a certain amount of percolation time needed, or your book is watery and gross. (yay for coffee metaphors). Still, I feel you on wanting to go faster and do more with the time you *do* have. Best of luck! Great plans coming up. With respect to publishing - a good friend of mine is both self-published and traditional published (cozy mysteries). She said she made considerably less money on her traditional published books and had way less control over everything. After she fulfilled her two book obligation, she dropped them. Thanks for co-hosting today! Your excitement and drive jump off the page! I'm sure next year you will check off many accomplishments on your bucket list. Remember, the best is yet come! 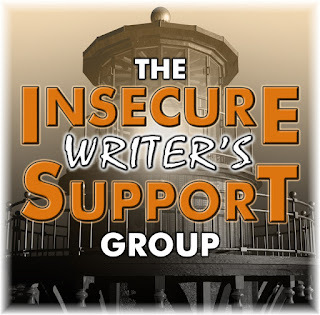 Thank you for co-hosting this month's IWSG. Thanks for co-hosting this month Nick! It sounds like you’re finding your path in the crazy world of writing. And it’s good to experience and find out which mode of publishing you prefer, traditional or self-publishing. I’ve planned to do both and become a hybrid author. Self-publish my shorter works and query my larger works to agents and publishers. You've got sound plans, and it sounds like like you've got the energy to get it done. Good luck! Also, I write all kinds of things, but have a definite leaning toward speculative. HI Nick, I see the value of writing in one genre for branding, but I love spreading my wings and have e books in fiction and non fiction. Now marketing is a conundrum. Mysteries are with a trad publisher and non fiction I self published and, like you, I love the control. Yes, I'm a member of IWSG and enjoy this blog hop--highlight of the month for me! Hi Nick, it always nice to have publishing goals: whether to self-publish or traditionally publish. Both require a whole lot of commitment, perseverance and hard work. Good luck with all your goals! You're well on your way, Nick! Your goals are gauged for achievement and success if what you'll have. I'm with you on the bucket list. Hybrid has a nice ring to it ;-) Years ago I was sure what genre I would always write, turns out that's not the case but it matters not as long as I am writing. I'm trying to up my productivity too, but it's definitely an uphill climb. Sounds like you've laid the groundwork for a nice career. Great goals! Stick to it, you'll get there! Hi Nick! Thanks for being a co-host this month and for visiting my blog. You bring up a really good point in terms of "branding." I've heard the same thing - and I honestly don't know how I feel about it either. I'm one of those "speculative" fiction writers who likes to run the whole gamut and also likes to dabble in contemporary. I have to admit I have the ghost of my undergrad prof lurking in the background on that, reminding me that speculative fiction is such a tough market. Also contemporary fiction sans world building can be so much easier. Then, I wonder if I should use a different author name for those stories. And I don't know yet! So tough to chose! That is SO true...there are some stories I'll never be able to tell with a traditional publisher...unless trends change. Doubtful they will. I can see the freedom in self-publishing, but it's also a LOT of work. I don't know how you guys do it! I like your take on what "speculative" is. Best wishes for your goals! Keep moving forward Nick and you'll find what you're looking for. Best of luck with your goals, Nick! Having a more defined author brand is why I'm keeping my name as more speculative fiction and creating a pen name for a singular genre (urban fantasy). I do like to write in different genres, but I want to see how keeping one singular and the other spread out will work out, especially since I don't want to have a new name for every genre I write. LOL! I'm a slow writer too. Sounds like you have a good plan. As much of a die-hard self-publisher as I am, I'll admit a little part of me wonders what it would be like to be traditionally pubbed. Best of luck with all your writing goals for the next five years! As great as self-publishing is, I definitely see the appeal in the traditional route, too, so I'm not surprised you'd like to experience both. Keeping my fingers crossed that this becomes a reality for you someday! I experienced both s/p and traditional, and traditional is cheaper. It also felt good to have someone believe in me. Can't easily replace that feelings. I like your response to write what you know. You've nailed it, Nick. We writers are more intuitive than we realize. Best of success in 2017.